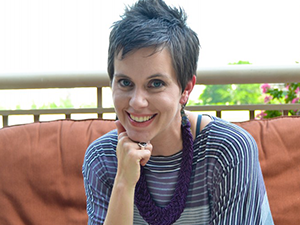 While I’m on my Disney Mom’s Panel training, I’ve got some fun guest posts lined up for you. 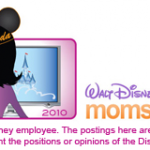 The first is by my good bloggy Disney friend, Janna from Blondie’s Bits. 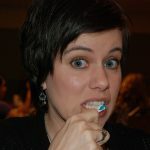 Please make her feel welcome by leaving a comment and then visiting her blog! Amanda has asked me to write a Disney post while she is away…at Disney World…for her Disney Moms Panel training…no pressure there! LOL! What could I possibly write about that would measure up? Then it hit me: Why do I keep going back to Disney? First of all, it’s one of the few places where my boys (ages 10 and 3) can both have a good time. Secondly, we HAVE A GOOD TIME AT DISNEY. I have heard too often over the years about trips to Disney that were awful – long lines, no restaurants to eat at, everyone was cranky, there was too much to see and do, we spent too much money, etc., etc. 1. Plan, plan, plan. While I don’t suggest planning every minute of every day, I do recommend planning the biggies: what days in what park, what restaurants to eat at (and making reservations), and how much you want to spend. There are also many books on the subject, too, but my particular favorite is PassPorter (I still carry my deluxe edition when I go to WDW). I’m not going to tell you how to plan – that part is up to you. You know your family better than anyone else! Planning for meals is a HUGE part of a Hicks Household vacation (Disney or otherwise). My greatest resource for meal planning is AllEarsNet. AllEars has menus for all of the Disney restaurants. I hear that the Disney website now has the menus but I haven’t tried it out yet. If you have a picky eater like I do (hey, Andrew! ), looking at menus BEFORE you sit down to eat is a must. It is certainly true that Disney can put a drain on any budget. Planning ahead for souvenir money and extra food money can help keep the drain to more of a trickle than a flood! I have recently found a website, Couponing to Disney. This is not only a great money saving and deal alert site, but Kristin also scopes out deals on Disney related merchandise. 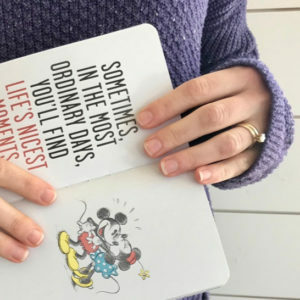 She is using the blog as a record of her efforts to save money to pay for their Disney trip without impacting their normal budget (and really, wouldn’t we all love to do that). 3. Fastpasses. What are fastpasses? Fastpasses are basically Disney’s “Get Out of Waiting in Line Free Card”. It amazes me how many people still don’t know about Fastpasses. Disney started the Fastpass system in 1999 to help alleviate waiting times at its most popular attractions (E ticket rides for us old folks). Even now, I can be going through the Fastpass line (quickly) and overhear people in the regular queue talking about “special privileges” and “you have to pay for those”! No, no, no! We are all special in Disney’s eyes! You, too, can get a Fastpass (well, at least until they run out – hello, Toy Story Mania)! You, too, can sail through the line and have other people talk about you! The beauty of Fastpasses is that printed on the ticket itself is what time you can get your next Fastpass. Again, this is particularly important during peak seasons and during any season for rides like Toy Story Mania, Soarin’, Expedition Everest, and Buzz Lightyear’s Space Ranger Spin. Personally, I would also add Peter Pan to that list. 4. I should preface this next one by saying that I drink the Disney kool-aid. As such, I book my trips (myself) through Disney. I stay on Disney property. I use Disney transportation (although I do sometimes drive if it is particularly crowded). I eat all of my meals at Disney restaurants. 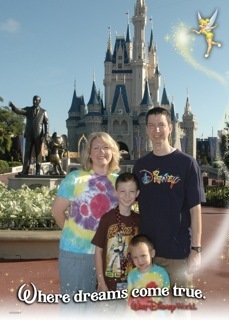 I immerse myself (and my family, lol) in all things Disney. That’s not to say that it’s bad to go through a travel agent (it’s not), eat off of Disney property (it can certainly be less expensive), or stay off of Disney property (I’ve done it once but it didn’t really work for me). As I get older, I love more and more the idea of an all-inclusive Disney trip (and one that is mostly paid for before I even arrive). Disney has made this much easier with its various dining plan options and ticket options. 5. HAVE FUN! While it’s great to plan, get up early, use Fastpasses, and do all things Disney, it’s also great to just have FUN! So you miss your reservation…try for another one. Oh, you missed rope drop…do what you can! All of the Toy Story Fastpasses are gone…wait in the queue (the ride and the queue really are worth it). You have a free hotel room offsite? Use it! Does it sound like I am contradicting myself? I probably am. My point is this: You are on vacation at Disney World. Fun is on every corner, whether you planned it or not. Attitude is such a huge part of happiness. CHOOSE to be happy if not every detail falls into place. CHOOSE to have a good time even if you don’t get to ride Space Mountain four times in one day (ok, that nauseated me just typing it). CHOOSE to enjoy that Dole Whip or Mickey Bar regardless of the damage to your diet. CHOOSE to laugh and play in the water sprays at either EPCOT or Downtown Disney.